For the first one I colored directly on the Something Lacy background stamp with my markers (Blackberry Bliss, Hello Honey, Cucumber Crush and Watermelon Wonder). 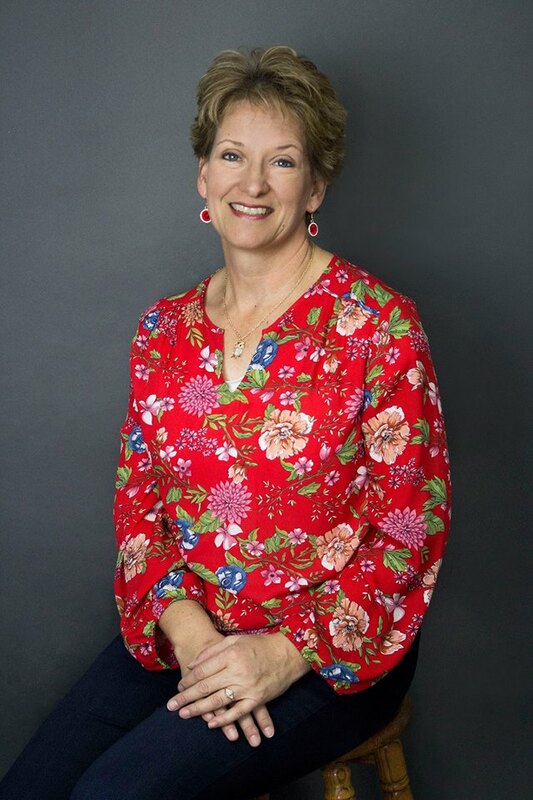 I invite you over to my Creative Juice by Loni Facebook page where I post everyday…join the community there to exercise more creative muscles daily! 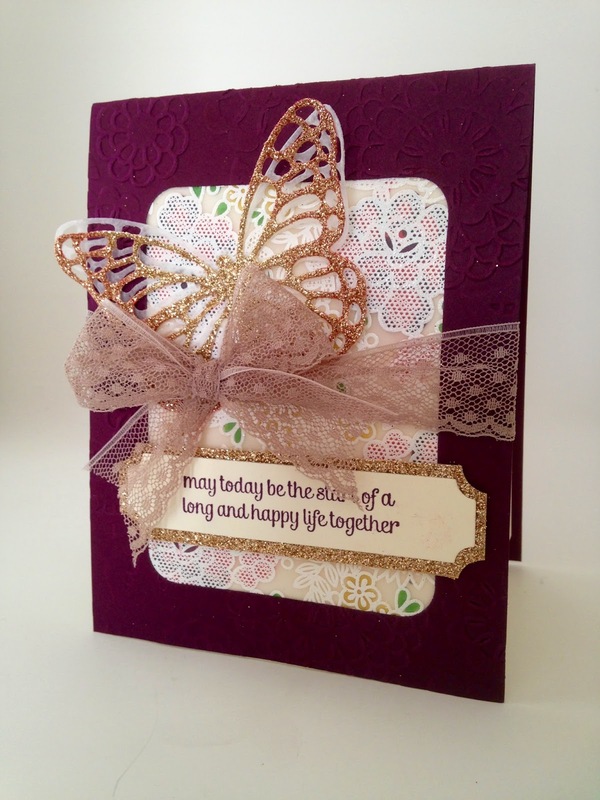 Hi Loni, what beautiful cards. They're each wonderful in their own way, although I like the one with the embossed vellum just a bit more. Love the subtle colours. Thanks so much for joining the Friday Mashup Challenge this week. Yes, I agree, both turned out totally different and both are beautiful. 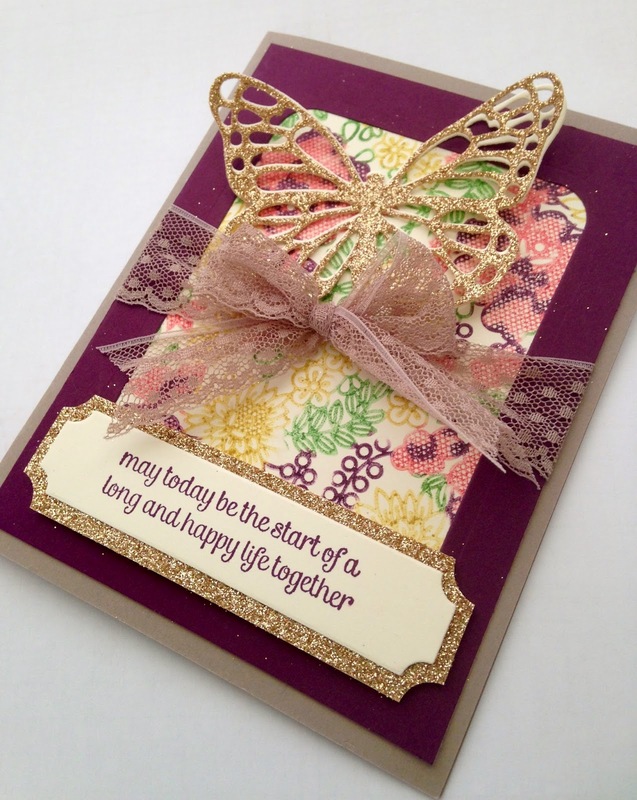 I love the colors you chose, it looks great with the gold glittered butterfly. Thanks for playing along with my challenge this week at The Friday Mashup! Wow, your first background is amazing! It really matches the challenge so well. Thanks for joining the Friday Mashup this week. Very pretty cards! I am really loving the background in the second one. Thanks for joining us at TGIF! Is't the glimmer delicious? And that trim!! Ohhhh love! Both are gorgeous…can't pick one that I like over the other. Great backgrounds!